For the past thirteen years, Tamara Thomsen has worked as a Maritime Archaeologist with Wisconsin Historical Society's Maritime Preservation and Archaeology program. 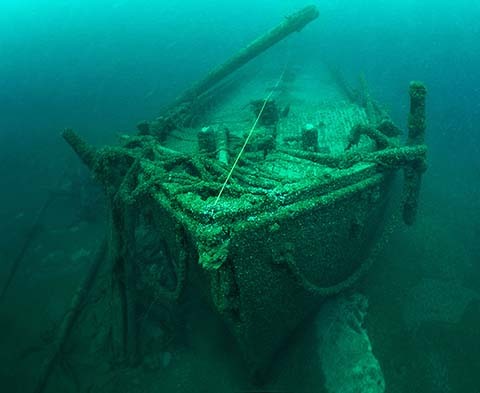 Her research has resulted in the nomination of forty-two Great Lakes shipwrecks to the National Register of Historic Places. 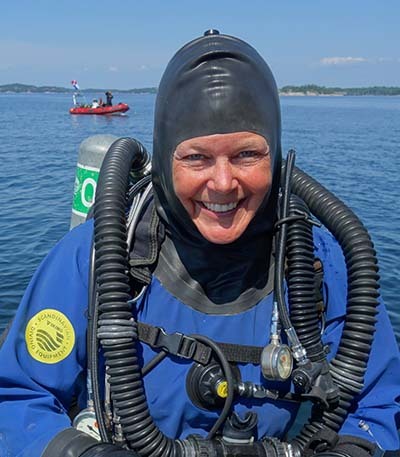 For her dedicated work, she has received awards from the Association for Great Lakes Maritime History, the Great Lakes Shipwreck Preservation Society, and in 2014, she was inducted into the Women Divers Hall of Fame. Tamara has worked as a photographer, researcher, and research diver on projects including the USS Monitor with NOAA National Marine Sanctuaries, and RMS Titanic with Woods Hole Oceanographic Institution. On the night of August 2, 1877, the four-year-old schooner Grace A. Channon plunged to the bottom of Lake Michigan within five minutes of being struck by the propeller Favorite. Her co-owner, Henry L. Graham and his two young sons, Harry and Alexander, were aboard taking passage from Buffalo to Chicago by water. Seven-year-old Alexander became separated from his father and was sucked under as the ship sank in 180 feet of water 16 miles southeast of Milwaukee. Grace A. Channon was engineered with specific hull lines and unique adaptions that allowed a tight fit within the locks of the Welland Canal (the canal that bypasses Niagara Falls). Ships with these features, called sailing canallers, carried grain harvested from Midwestern farmlands to ports on Lake Ontario and returned loaded with coal to heat cities and power factories. Much of our understanding of the construction, adaptations and use of these ships has been learned over a twelve-year investigation conducted by Wisconsin Historical Society, through documentation of shipwreck sites like Grace A. Channon, Daniel Lyons, Walter B. Allen, Floretta,America and others.